Provide comfort for the family of Steve Loring with a meaningful gesture of sympathy. Stephen Gregory Loring was born on March 25, 1955 in Emmetsburg, Iowa, to Raymond and Carol (Hoffmeyer) Loring. He passed away at the Good Samaritan Home in Estherville on January 31, 2019 at the age of 63 years. Steve attended and graduated high school from Emmetsburg in 1974. He continued his education at Iowa Lakes Community College. Steve entered the United States Army and served during the end of the Vietnam Conflict. After being honorably discharged from his military service, he was united in marriage to Linda Beck and the couple had two children Kyle and Kari. This marriage was later dissolved. On February 28, 2003 he was united in marriage to Cynthia Weber in Estherville. Steve was employed for many years with American Family and Great Lakes Insurance as a sales agent. Steve enjoyed camping, fishing, motorcycling, boating, and taking trips to the mountains. Steve is survived by his children Kyle (Amy) Loring of Grain Valley, Missouri and Kari Sanculi of Ogden, Iowa; step-children Erin (Ryan) Biller, Stephanie (Paul) Sorensen, Alex (Jessica) Webb and Schuyler (Tiffany) Webb; his grandchildren Declan Sanculi, Brody Loring, Aisley Loring, Kylie Loring, Lyla Sorensen, Aiden Sorensen, Rowan Biller and Noble Biller. He is also survived by his mother, Carol Loring of Emmetsburg; and by his siblings: Linda (Mike) Guinn of Hartley, Craig (Anna) Loring of Havelock, Sheryl (Melinda) Loring of Emmetsburg, Diane (Tony) Putnam of Everly, and Kayleen (Scott) Farmer of Estherville. 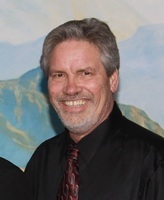 Steve is preceded in death by his father, Raymond; his wife, Cindi; and his grandson, Cole Loring. Military Rites by VFW Post 3388 and American Legion Post 91 - Estherville. We encourage you to share your most beloved memories of Steve here, so that the family and other loved ones can always see it. You can upload cherished photographs, or share your favorite stories, and can even comment on those shared by others. Loring Family, I was blessed in getting to know Steve after I started going to dances with Bonny Swart. He was one of the ‘crowd’ & I soon got to be one with Steve. I loved his sense of humor & his enjoyment in being around those of us in this dancing circle. I miss him since he had to drop out & am very saddened at his passing. My most sincere condolences go out to all of you. I noted that one of your family members was my neighbor on the farm. A special note of sympathy to you Linda, Mike & Jason. Heartfelt Sympathies Store purchased flowers for the family of Steve Loring. My prayers go out to Kari, Kyle, grandkids & family, My heart goes out to you during this time!! Steve was such a nice guy. God be with you all. I am so sorry for your loss. This is a big shock for me. My mom Paula worked with your dad for many years and I enjoyed talking with him when we came home for a visit. Know you are in my prayers and sending both of you kids, now adults many hugs.